In Object-Oriented programming languages, an interface defines a set of methods which a Class must include in order to implement the interface (otherwise, if the Class is missing the required methods, the code will fail and the interface will throw an error). Interfaces are useful for making sure developers use the correct implementation of an API. In Object-Oriented languages an interface defines a set of methods which a Class must include in order to implement the interface (otherwise, if the Class is missing the required methods, the code will fail and the interface will throw an error). 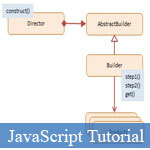 * Constructor that creates a new Interface object for checking a function implements the required methods.